Acharya Institute of Management and Sciences, Bangalore or popularly known as AIMS have been established in the year 1994 by a group of eminent educationists and philanthropists to bring the best eminence in education. The initiative has started with a vision to expand the horizons of teaching-learning realms, wherein, the students' interpersonal and intrapersonal disposition is groomed according to the challenging environment. Undoubtfully the AIMS campus is a medium to build confidence among the students and inspire them to excel in their academic, professional endeavors, and personal lives with their respective preferences. The Acharya Institute of Management and Sciences (AIMS) offer various Post-Graduation and Graduation courses for the capable and most tremendous students of India. The college holds the strength of approx 2000 students at the campus ground. The regular recognition of quality work in the education, Acharya Institute of Management and Sciences (AIMS) has been consistently ranked and rated as one of the best private B-Schools in the country since its inception. What are the benefits of study with AIMS? Are you looking for a college which serves you the best outcome when you are graduate or post-graduate? If you are looking for that kind of college then AIMS, Bangalore is the preeminent choice to complete your studies. Let’s take a quick look at the benefits understudying with Acharya Institute of Management and Sciences. The campus enables to provide an efficient and comprehensive service to all prospective students in India. AIMS give a professional counseling environment to the potential admission seekers and help them to choose the right course for future optimizers. Let those students, whose aptitude matches with academic goals of AIMS are perfect for the campus ground. To ensure a transparent and prompt admission process and support students to familiar with a hustle-free experience. The institute is also rated to have 5th best intellectual capital among more than 3000 B-Schools in the country. In fact, the Hospitality program of AIMS has also been awarded as the best in the country and the graduates are widely accepted by promising leaders in India and abroad. Along with this, several of students from different programs have been securing university ranks too. Go through this article to get the complete details about the Acharya Institute of Management and Sciences (AIMS). A candidate must be obtained 55% marks in his/her Post-Graduation Degree from a recognized university in the same subject. There are four different rounds to be cleared in order to get selected with the MBA program of AIMS. These different rounds give the objective of AIMS Selection Process for MBA aspirants is to evaluate their communication skills, presentation skills, knowledge on current affairs, entrepreneurial abilities, understanding of markets, attitude, and aptitude to take up the rigor of the program. This allows institutes to get the best resources to get in and develop for the better. All interested admission seekers who want to take admission in AIMS, Bangalore have to complete the online Application Process by simply follow these simple steps. 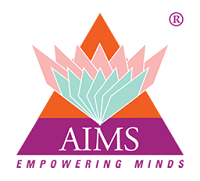 Visit the authorized page of AIMS, Bangalore to start the application process. Register yourself first by simply generate a Login Id and Password. Now, fill your personal information such as Academic details, Family Background, Residential, and much more. After this, choose your Admission Type and select the mode of sending your documents. Conclude your application form and submit it. Note: You need to submit all the documents in original when you report to the admission office for final admission. AIMS have been ranked as NAAC accredited ‘A’ grade B-school in Bangalore, because of the aim to provide the best opportunities to develop conceptual & analytical skills during their course of study to all our students. AIMS Institutes fosters an attitude essential for the aspirant’s growth and ultimate development into competent, skilled and effective managers with the technical learning of business studies. The postgraduate and graduate management program at AIMS Institutes worked to provide the perfect learning ambiance for budding management professionals. It is equipped with highly reputed faculties and one of the best educational facilities.